Augustów (Polish: [au̯ˈɡustuf]; Lithuanian: Augustavas), formerly known in English as Augustovo or Augustowo, is a city in north-eastern Poland with 30,802 inhabitants (2011). 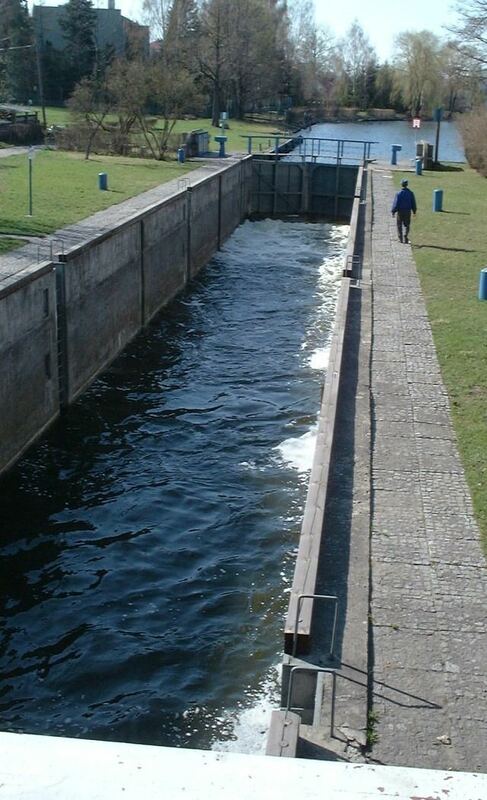 It lies on the Netta River and the Augustów Canal. It is situated in the Podlaskie Voivodeship (since 1999), having previously been in Suwałki Voivodeship (1975–1998). It is the seat of Augustów County and of Gmina Augustów. In 1970, Augustów became officially recognized as a health and relaxation resort. In 1973, surrounding settlements were named a part of it, forming a popular resort town. The town was first mentioned in 1496 and was granted city rights by king Sigismund II Augustus in 1557, changing its name in his honor. It was redesigned and laid out in a very regular manner, with a spacious market-place. Until 1569 Augustów belonged to the Grand Duchy of Lithuania when the Real union called Union of Lublin was signed between Poland, Grand Duchy of Lithuania and Royal Prussia. As a result, the town became a part of the Kingdom of Poland, while its cemetery was left in the Grand Duchy of Lithuania. Tatar invaders destroyed Augustów in 1656, and the second half of the 17th century saw the town afflicted by plague. In 1795 Prussia annexed Augustów. In 1807, it became part of the Duchy of Warsaw, followed by incorporation into the Kingdom of Poland in 1815. It was made a county seat in 1842. Following Russia's full annexation of the Polish kingdom in the 1860s, it was administered from Suvalki. With a population around 9400 (c. 1875), it carried a large trade in cattle and horses, and manufactured linen and huckaback. Its canal connects the Vistula and Neman rivers and the railway reached the town in 1899, when its population was around 12,800. During World War I, the Russian army successfully counterattacked the German army in the Battle of Augustów (1914), in the lead-up to the better-known Battle of the Vistula River. In the aftermath of World War I, it was a site of fighting during the Battle of Augustów in 1920. From 1939 to 1941, Soviet troops occupied the town. Many inhabitants were sent to exile in Kazakhstan, from where some were able to return after 6 years. The Nazi German forces occupied Augustów until 1944. World War II brought destruction of about 70% of the town and death or departure of most of its residents, amongst them a community of several thousand Jews who were imprisoned in the ghetto situated between the canal and the river. The Germans executed practically all of them before they left. In 1945 the Soviets conducted the nearby Augustów roundup - a special operation against former Armia Krajowa anticommunist fighters. The construction of the Augustów bypass called Via Baltica, through the wetlands of the Rospuda Valley, attracted great controversy in 2007. The work was halted after the European Commission applied for an immediate injunction. See Rospuda River, European route E67. The town, although small, has many attractions for the visitors. The Oficerski Yacht Club Hotel, built in the 1930s, is an army yacht club that has been restored and converted into a resort. 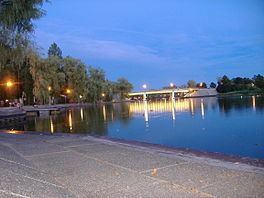 It is located on the edge of one of many lakes in the region. Pope John Paul II has a memorial chair from the first and last time he visited the town right outside the club. Boat tours are also popular and the old town square still has its original cobblestone streets.